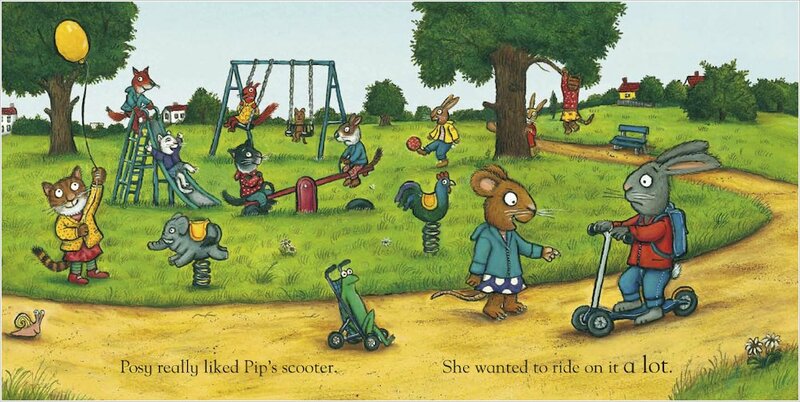 Pip is happily playing in the park with his brand new scooter. 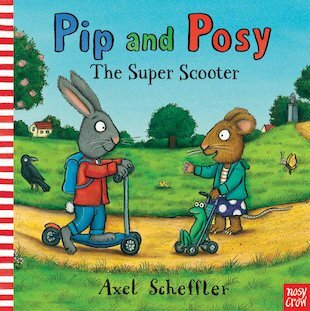 But when Posy sees it, she decides she REALLY wants a go – so she snatches it and rides away! She rides up, she rides down… and then she falls off! Oh dear! 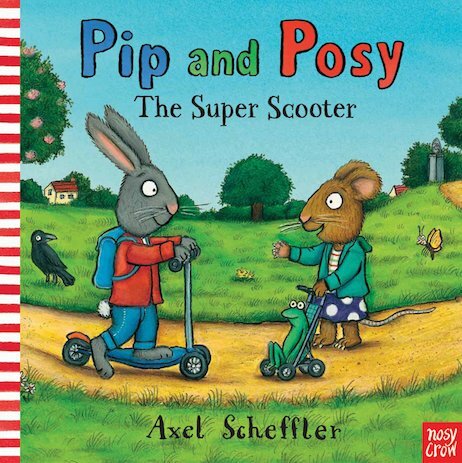 Will a very cross Pip come to his friend’s rescue with a sticking plaster and a cuddle? 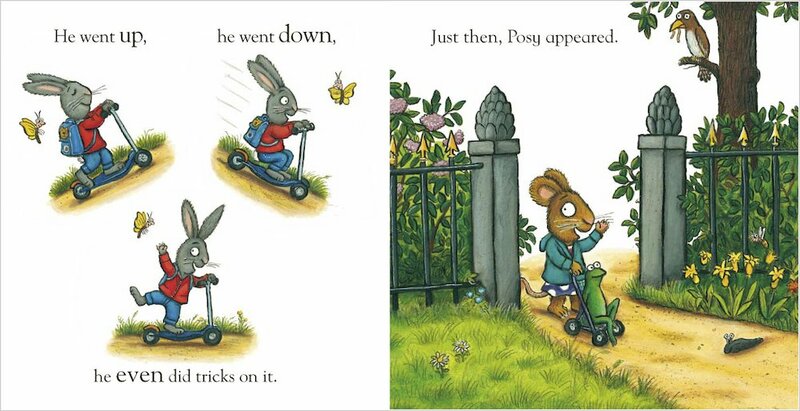 An adorable story about sharing and saying sorry, starring a tufty little bunny and an equally cute mouse. 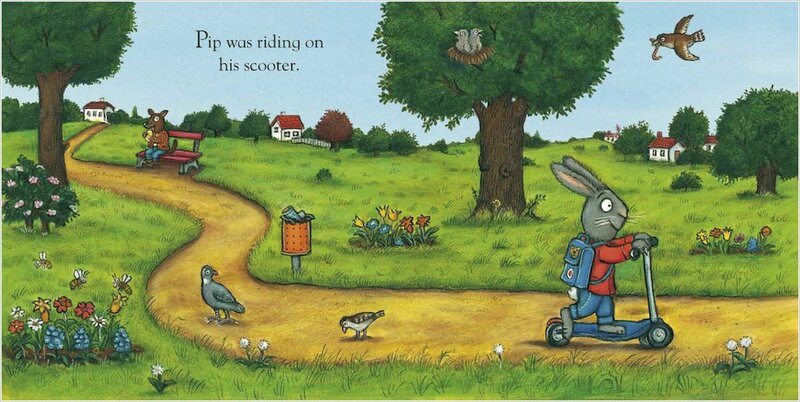 Show little ones what being a good friend means with this charming tale from the illustrator of The Gruffalo. A bringing me back to when i was little!